In cinemas Thursday, July 5. It is apt that Haifaa Al Mansour, the first female feature filmmaker from Saudi Arabia, has made a movie about a subversive feminist from yesteryear. Mary Shelley tells the true story of Mary Wollstonecraft Godwin (as she was known at the time), the author of one of the greatest Gothic horrors ever written: Frankenstein. While the misogyny of the day might not have recognised her fictional monster staring back at them, this film makes it crystal clear the reasons for its creation. 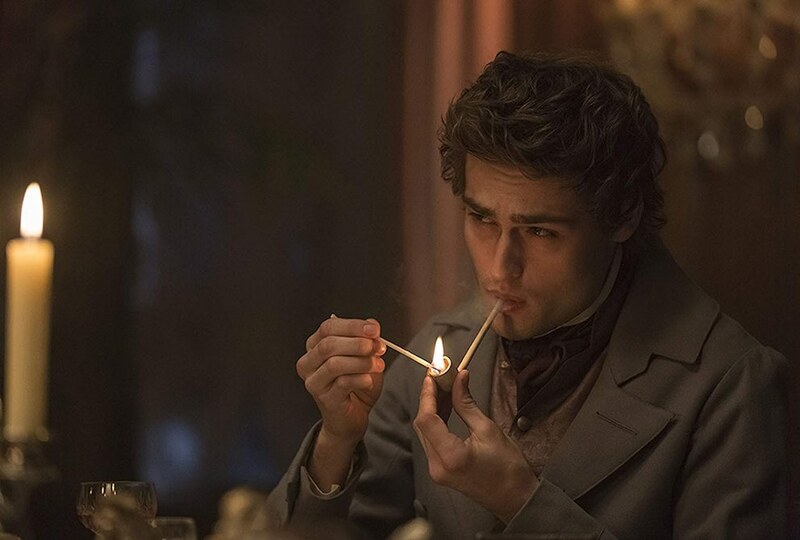 Set among the cloying mud and muck of early 19th century London, Mary’s ill-advised fling with the dashing poet Percy Shelley (Douglas Booth), is in full swing. 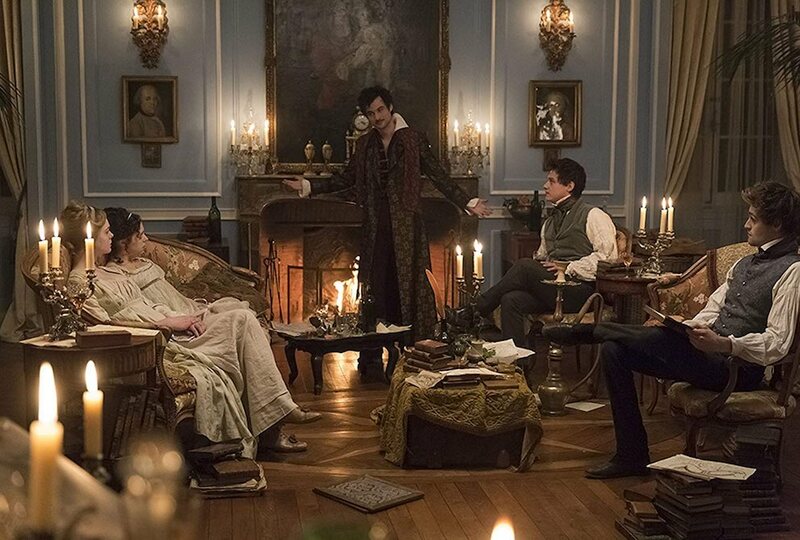 It is a romance that carries their elopement to Lord Byron’s bohemian holiday home where the first pages of her book were penned. As the dust settles on their relationship, we discover that Percy’s free-spirited and narcissist nature pushes Mary to the margins of his life. The casting of a very brooding and smouldering Elle Fanning (20th Century Women) matches a woman whose demeanour is one of hapless defiance. 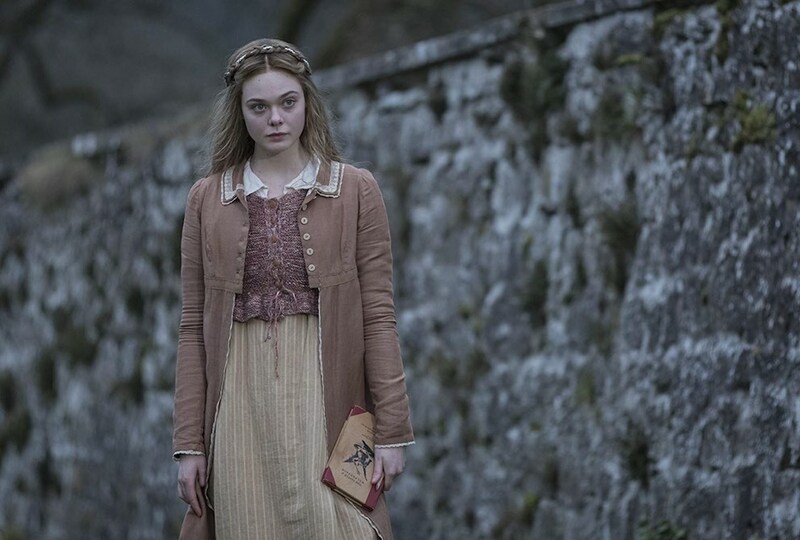 The film only glances at her fascination with science, choosing instead to focus on other influences that brought about Mary’s lonely and neglected monster. Clearly, she saw herself as the creature of her creation: forlorn, outcast and abandoned. Tonally, there are hints of Jane Campion’s Bright Star, minus the Kiwi director’s delicately infused feminist nuances or spell-binding cinematography. This film is more conventional and literal in its scope, and screenwriter Emma Jensen’s rather safe approach to the subject matter might have benefitted from some more venom. It is something that Fanning’s performance goes some way to compensate for. Her sullen portrayal is the driving force of this biopic and brings some rectifying depth to the film’s many double-entendres, innuendo and knowing looks. As Mary says of her book: “It is a message for mankind” and it seems appropriate, in the current age of feminine resurgence, that this film has been made. And, despite its conventional hand (and a slightly clumsy ending), Mary Shelley remains a fascinating and timely story.